I don't think Topshop Beauty gets enough credit. The range is great. It's affordable with an unreal selection of products with fab colours and the formula is always on point too! I dipped my toe in the Topshop Beauty pool when the range first came out years back with a lipstick and nail polish - that's all and to be honest, the nail polish was a bit pants - it was streaky and chipped within a day. The lipstick on the other hand was the thing that had be coming back. The pigment, the staying power, everything! So I bought a few lippies (which have since become staples in my collection) but didn't really explore the rest of the range - until now. 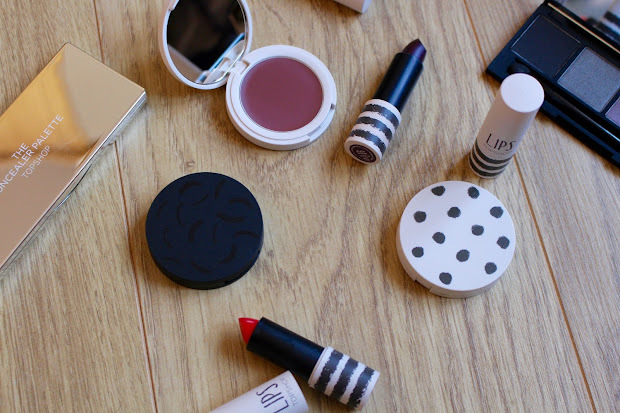 They are killing it y'all, here are a few of my fave Topshop Beauty buys. Lipsticks in All About Me and Inhibition, £8 each - All About Me was the aforementioned first lippy I got from Topshop and Inhibition (pictured above) is the smoky purple of dreams. 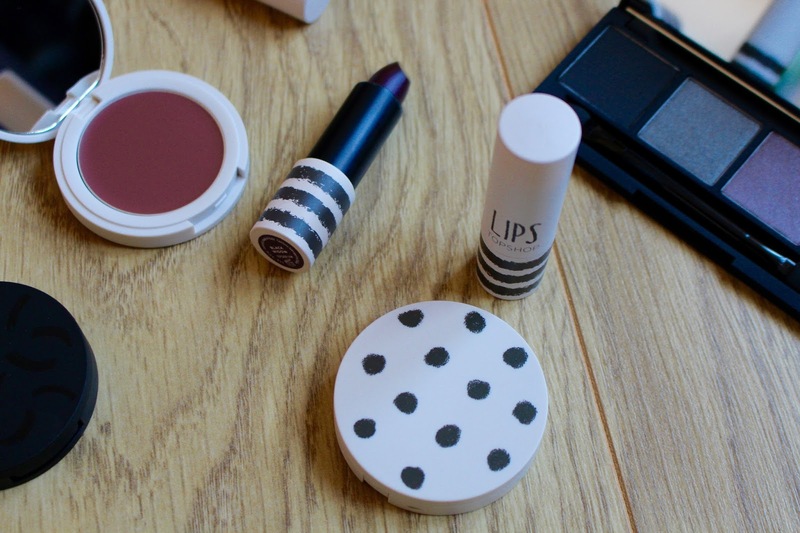 The Topshop lipsticks are matte but so creamy and not at all drying. Cream Blush in Dalliance, £7 - I love the muted colour of this blush. On my skintone it gives me a subtle healthy glow and is perfect for lazy weekend not-much-makeup kinda days. The Concealer Palette, £12 - This palette comes with three different shades so you can mix and match for custom colour it also comes with a translucent powder to set it. Contour Cream in Swerve, £10 - The Contour Cream comes in two colours now, Swerve being the darker one. and when I say dark I mean real dark, and therefore actually wearable for us brown girls. I love the consistency - it's highly-pigmented and creamy therefore easy to blend out. Because ain't nobody wanting contour stripes. Smokey Eye Palette in Subversive, £12 - Twelve pounds for four awesome colours that create a bangin' smokey eye. Nuff said.